Snow monkeys are one of my favorite subjects to photograph because of their anthropomorphic qualities, and because their behaviour is very interesting. On each year's Japan workshop we spend two full days with these photogenic guys, and even though I've been there many times now, I still return with different shots. 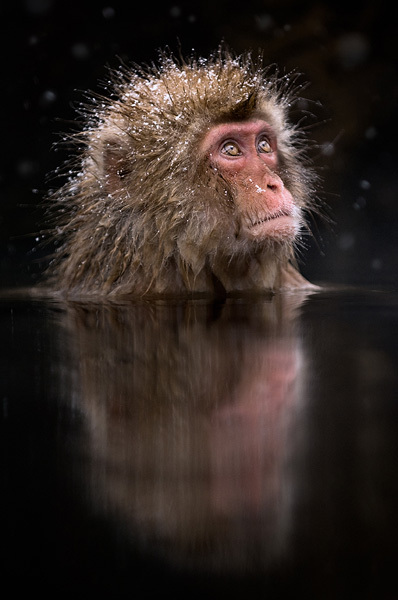 This particular snow monkey was just chilling in the water with a dark rock wall in the background. It was snowing gently, which adds to the atmosphere. I always hope for falling snow, and this time we got lucky.